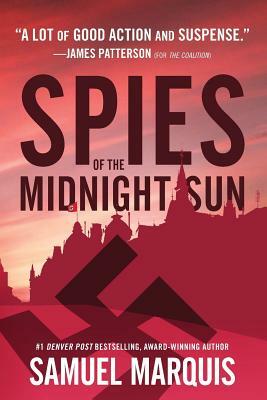 SPIES OF THE MIDNIGHT SUN is the true story of legendary British safecracker and spy Eddie Chapman, the British Double Cross Spy System, and Norwegian female Resistance operatives Dagmar Lahlum and Annemarie Breien. Known as Agent Zigzag, the most remarkable double agent of WWII, the fearless and roguishly handsome Chapman fell in love with and spied alongside the stunning 20-year-old model Dagmar Lahlum in Occupied Norway. Based upon recently released historical records from British and Norwegian archives, this WWII adventure and romance tale illuminates for the first time the intimate relationship between the two spy-lovers as well as the wartime exploits of Lahlum, Breien, and the Norwegian Resistance to liberate Norway and combat the Gestapo's bloodhound investigator, Siegfried Fehmer. The contributions of Dagmar Lahlum and Annemarie Breien to the Allied war effort are many and incontrovertible--and yet history has never properly recognized these courageous Resistance women for their achievements. Until now. This book is their story and the story of the colorful Eddie Chapman in their efforts to defeat the Nazis.